No, the familiar Tux logo wasn’t stamped on any product and few people uttered the word “Linux,” but it was there, right under the surface. Sure, Intel’s Compute Stick offers an Ubuntu version—but that was just the tip of the iceberg. You just had to know where to look. The most obvious Linux product was Intel’s Compute Stick, a small computer the size of a Chromecast dongle that can plug into an HDMI port on a TV or computer monitor. Similar-size dongles like the Chromecast, Fire TV Stick, and Roku’s Streaming Stick are stripped-down systems, but an Intel Compute Stick is a full x86 computer that can run Windows 8.1 or Linux. The Ubuntu Linux version is available cheaper with lower specifications, at $89 compared to $149 for the Windows version. That means the Linux version might see nice uptake among enthusiasts. 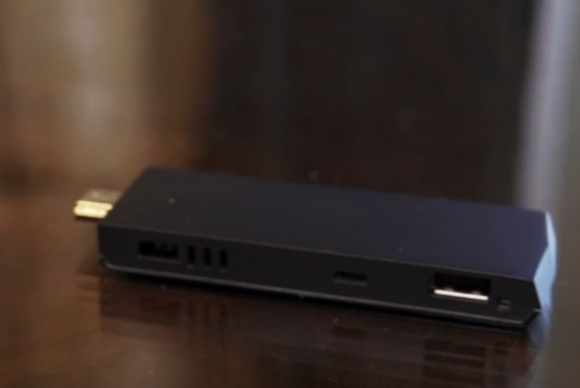 Intel's tiny Compute Stick turns any HDMI-equipped display into a full-blown Ubuntu PC. Other manufacturers were selling similar products. Exploring the less-populated booths of smaller manufacturers from Shenzhen, I saw similar “Genuine Intel” HDMI-stick computers being offered with both Windows and Ubuntu operating systems. This is a product we’ll be seeing more of, and Linux makes a good fit as a powerful, customizable, hackable operating system. The Intel compute stick and other HDMI-stick computers stood out because they were the only time I saw the Ubuntu logo and heard the word “Linux.” Linux wasn’t visible anywhere else, although many PC manufacturers were showing off Chromebooks. Steam Machines were missing-in-action this year, too. I’m not sure what’s going on with Valve’s Linux-based Steam machines these days. For a moment, I felt like Linux wasn’t very present. Then it hit me: everything was running Linux! Panasonic smart TVs will run Mozilla’s Firefox OS, and that’s based on Linux. All those Android game consoles, like Razer’s Forge TV that can stream games from your PC, use a Linux kernel. Samsung’s shift to Tizen for their smart TVs means those TVs were running Linux. LG’s smartwatch running Open webOS is based on Linux. TVs with Opera TV, Android TV, and practically every other platform were Linux-based. Every little Android device runs on top of Linux. 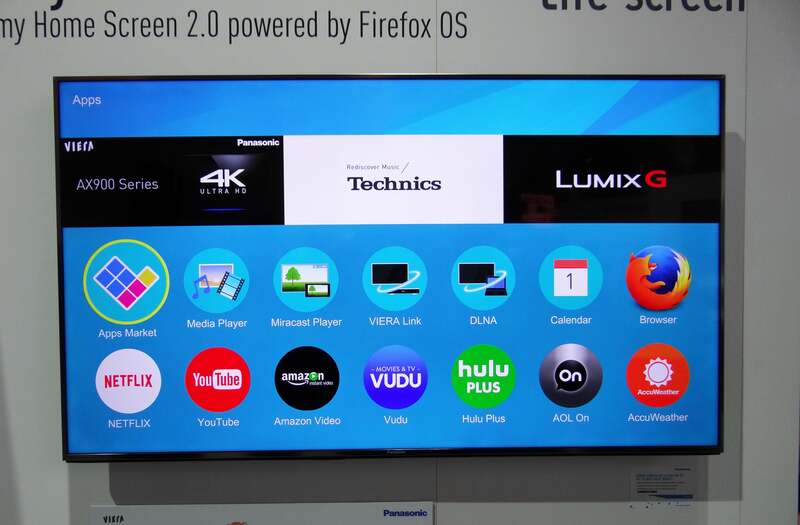 Panasonic's Firefox TV? Yep, it's based on Linux too—as were all the Tizen, Android TV, and WebOS sets on display at CES 2015. As more and more wearable technologies and Internet-of-things devices come out, we’ll see a sharp spike in devices running Linux. Even some robots already run Linux, and future robots with more powerful processors will be more likely to run Linux than the minimal embedded operating systems many already run today. Even Google’s self-driving cars are powered by Ubuntu Linux. Microsoft definitely doesn’t want to miss this boat, which is why it’s frantically working on “Windows for IoT,” which will not require the traditional Microsoft licensing fee. But Linux—including variants like Android—is already an operating system manufacturers are turning to today. Razer's Forge TV set-top box. That old phrase “the year of Linux on the desktop”—now uttered mostly as a joke—is distracting us from the massive success Linux has had everywhere else. We already know how popular Linux is on servers; “the year of Linux on the server” happened long ago. Android is the most popular smartphone platform in the world, so “the year of Linux on the smartphone” happened a few years ago, too—and Ubuntu Phones are inbound shortly. Android tablets are also more popular than iPads worldwide, so “the year of Linux on the tablet” is already reality, as well. It certainly looks like we’re headed for “the year of Linux on the (smart) TV” and huge successes in Internet-connected appliances and wearable computers. Linux is even making inroads in laptops (Chromebooks) and some desktops (Chromeboxes) thanks to Google’s Chrome OS. And yes, Chrome OS is gaining steam. As Fedora’s project leader told me, simplified platforms like these are the future of computing for average people. Traditional Linux desktop platforms will be an oasis for power users and content-creators. In other words, “the year of Linux on the desktop” is a diversion. Don’t sit around waiting for Linux to become mainstream—it already is. The year of Linux on everything but the desktop is here!